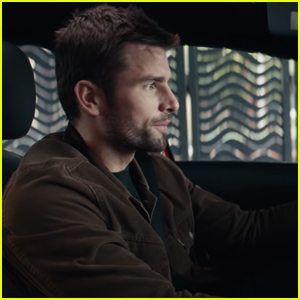 In the luxury car brand’s 2019 Super Bowl commercial, the main guy realizes that as soon as he gives the command, he can make things happen the way he wants them to. Whether it’s finding a missing cat, ripping up a parking ticket, or “making it rain,” he can control the world around him as soon as he gives the word. Janet Jackson Honored by Missy Elliott at BMI Awards! 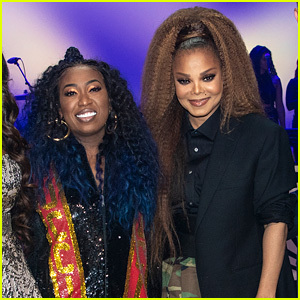 Janet Jackson poses with her friend Missy Elliott while attending the 2018 BMI R&B/Hip-Hop Awards on Thursday (August 30) at The Woodruff Arts Center’s Symphony Hall in Atlanta, Ga. The legendary entertainer was honored with the BMI Icon Award during the event. A bunch of stars, including Jussie Smollett, Justine Skye, Normani, and Teyana Taylor, performed during a tribute to Janet. Ciara was there to introduce a dance troupe’s tribute to the legend. Missy made a surprise appearance to deliver a speech as a tribute to Janet. Other stars at the event included Ludacris and Keri Hilson. Denzel Washington & Ashton Sanders Get Star Support at 'Equalizer 2' Hollywood Premiere! Denzel Washington is all smiles as he hits the red carpet at the premiere of his latest film Equalizer 2 held at the TCL Chinese Theatre on Tuesday (July 17) in Hollywood. The 63-year-old actor was joined at the event by his co-stars Ashton Sanders, Melissa Leo and Kazy Tauginas. Also in attendance to show their support for the flick was Normani Kordei, Michael Ealy, Ludacris, Larenz Tate, GLOW‘s Britney Young, Ryan Guzman, Grown-ish‘s Trevor Jackson, LL Cool J and his wife Simone Smith, Wesley Snipes, Adina Porter and Gina Torres. The sequel picks up with Robert McCall (Denzel), a former black ops commando, and his new career as an unassuming Lyft driver. Once again, Robert finds himself unable to ignore people who are preying on the weak and shows how merciless he can be when someone he loves is hurt. The Equalizer 2 is set to hit theaters on July 20th – Watch the trailer here! FYI: Ashton is wearing a full Stella McCartney look. 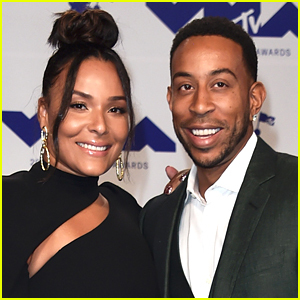 Ludacris‘ wife Eudoxie is looking forward to positive year ahead. Eudoxie took to Instagram om her birthday on Monday (May 14) to reveal that she suffered from a miscarriage earlier this year. Ludacris and Eudoxie got married back in 2014 before welcoming daughter Cadence back in 2015.